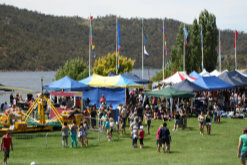 Come and experience this fantastic EVENT set in Banjo Paterson Park on the foreshore of beautiful Lake Jindabyne. 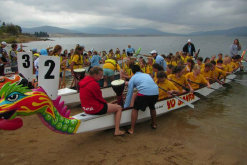 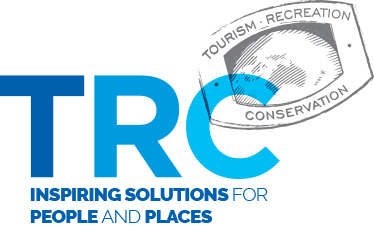 Community team training and 2KM Sports Team dragon boat race on Saturday and Sunday sees the 12th Lake Jindabyne Dragon Boat Challenge / including High Country Challenge for community teams, huge Market Day and Food stalls and amusement rides. 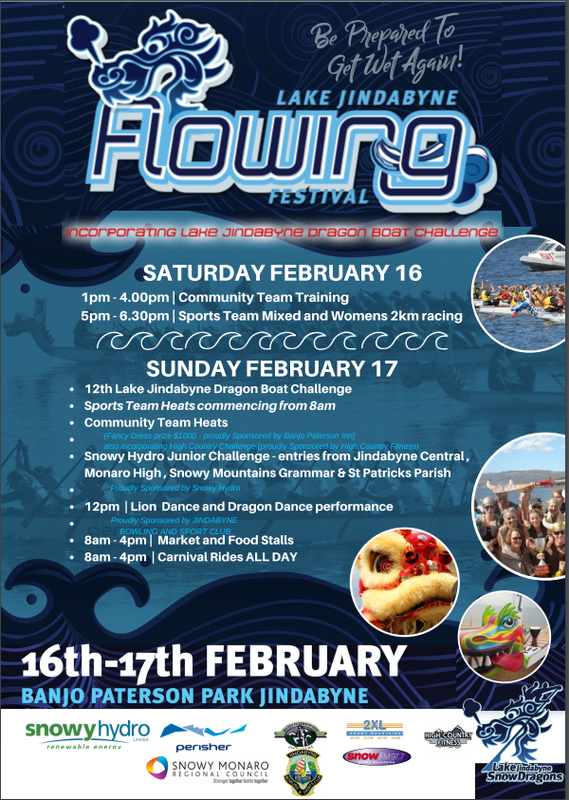 The entertainment will Flow throughout the weekend (Program here). 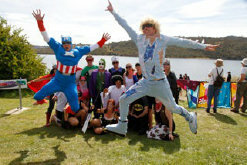 2019 © Lake Jindabyne Dragon Boat Challenge.